I last posted my skincare routine over a year ago and whilst going through my previous posts last night i realised my regimen has changed, not so much in the process but the products i now use. I'm sure y'all already know i am such a minimalist and so i do not like complicating my life but would rather sick to the very 'basics' even when it comes to skin care. Ok, back to my updated skincare routine. Towards he end of last year my skin started breaking out really bad, i'm not sure if it is because i had used the same products for such a long time or i was reacting to something else. Nonethereless when i went to South Africa in December for Christmas my aunt recommended that i try out Gentle Magic and so she bought it for me. 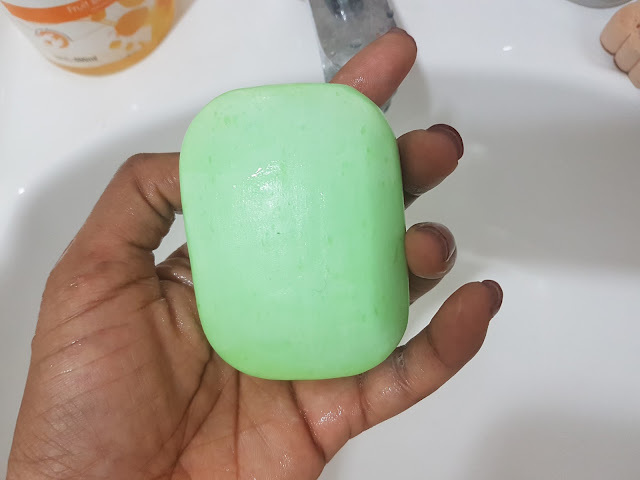 If you know me well, you will know that there is no way i would have wanted to try that because it was so cheap and for some reason i always believed if its going onto my body directly its gotta be good quality and cheap isn't good quality. Boy was i wrong! I eventually tried it and my skin cleared within 2 weeks. 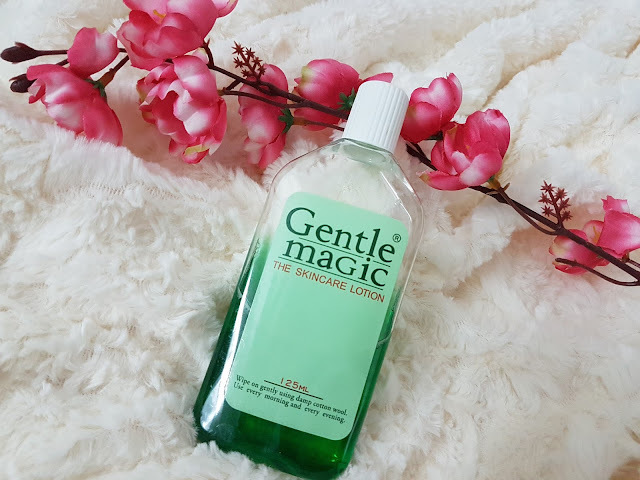 I use the Gentle Magic cleansing bar which they say is glycine infused with flowers of sulphur and exfoliating micro-granules which will lift away dead skin and surface bacteria. 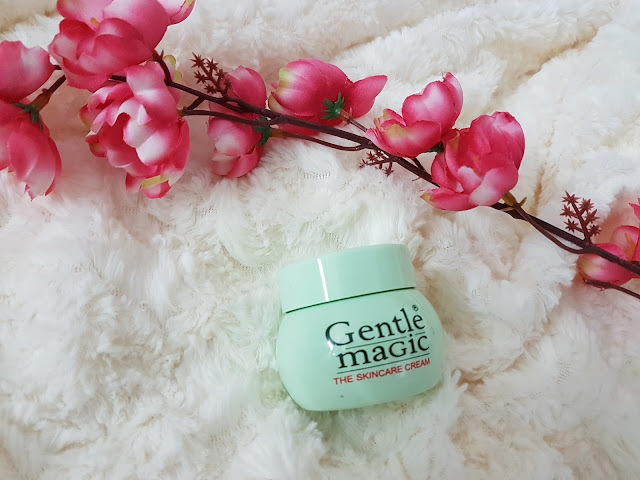 The Gentle Magic skincare lotion is a deep cleansing astringent containing Vitamin B3 and various herbs minimising oiliness and getting rid of harmful germs. It does have a tingly feeling when applied. During the day i like to use the skincare moisturising cream because it has Vitamin B5 and protects my skin from the sun. I've noticed that it also helps control my oily skin. This light weight moisturiser contains Vitamin B3, B5 and C and is said to promote a blemish free and balanced completion. 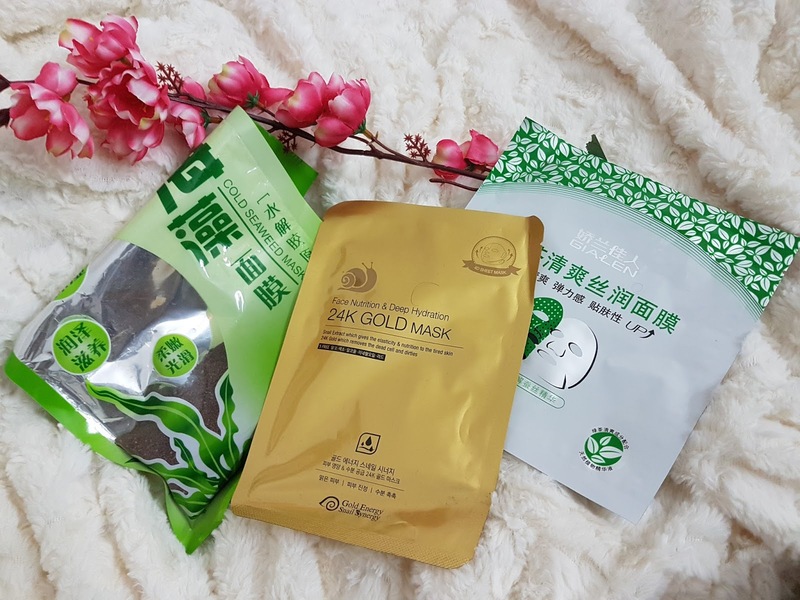 As always i don't spend money on scrubs or masks (unless they are given to me for free like the ones in the above image) because i believe DIY using natural ingredients provides more benefit. I still follow these recipes depending on what is available in my kitchen. I know this was quite lengthy, thank you for going through it. Let me know your thoughts in the comment section below. Looks like a great and effective routine, fab pictures too! Never heard of this brand but it is good to know they worked for you. Cleansing is most important for clear and healthy skin. I've never heard of this makeup brand but they sure do sound great! This sounds like such a great skincare routine! 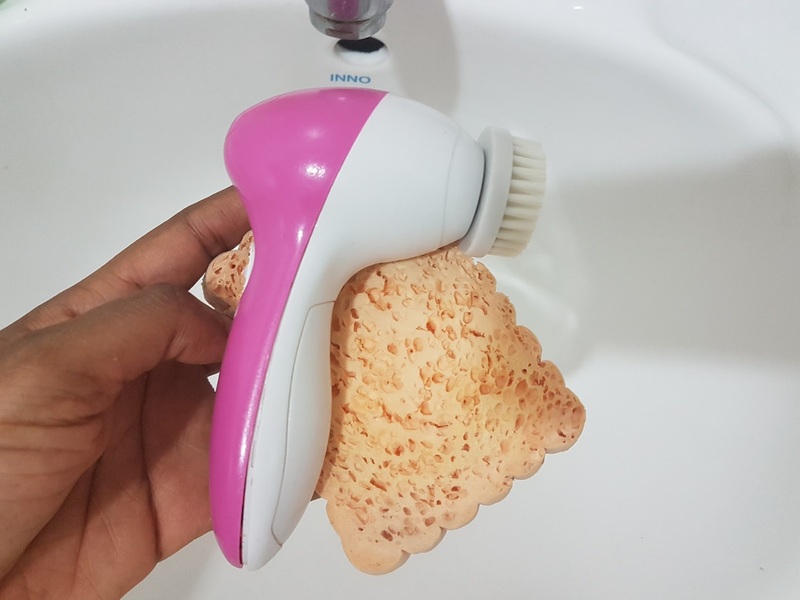 I definitely want a cleansing brush someday! I bought a brush and have stopped using it ! This totally encouraged me to bring it out in my routine again! This beauty routine sounds great! What a great routine, thanks for sharing! I follow a similar routine more or less, except for the cleansing tool. I honestly couldn't agree more with you, girl! I try my best to use organic and all natural products for the reasons you've stated, it all gets absorbed into our bloodstream, which is why we should be mindful of all the ingredients contained in the products we use, including makeup! 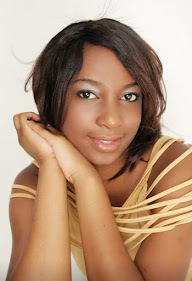 I'm not much of a makeup junkie, though I do enjoy wearing it, but don't everyday. This brand sounds wonderful, simple and good for your skin. Thanks for sharing and I hope you're having a wonderful start to your week so far! Thank u Jalisa for sharing my opinion 😉😘 Have a great week too. I usually like to keep my routine basic too. Sounds good! Cute product choices. I also use a brush from time to time and enjoy a nice face mask. I have sensitive skin so I like to try and keep my routine pretty simple. Like you I try to stick to products that natural and organic as much as possible. Sometimes I think simple is just better, and easier to maintain. Thanks for sharing with us. I have been wearing makeup on some what of a daily basis and I look 15-20 years younger then I am. It is not makeup that ages your skin it is the sun, a high sugar diet and smoking. And soap can dry your skin. I have not used soap on my face since I was 11. I use facial cleanser. This Gentle Magic line sounds excellent. Using gentle products on your skin is very important if want to to keep it young looking. This sounds like a great routine. This routine looks pretty good. I've recently come up with a bunch of spots on my forehead which is very very annoying, but maybe I should try a routine like this in order to eradicate them? Interesting! Something about the green bottle reminds me of mint, which reminds me of good smells and cleanliness! Thnk u Kim☺ Yea there is something about the color green. I have to now research this product since you made it sound amazing, with it clearing your skin and all! Looks like a great skin care routine. Nice and useful post. Thanks dear Nistha. Have a lovely weekend. I have never heard of this brand but I don't think it is available here in the US. Cheap products can work well like expensive products can perform horribly. I usually do not go by price but recommendations and reviews. Hey LaToya, unfortunately no it isn't available in the US. Thank you for stopping by & have a lovely weekend. Exactly rather than waiting weeks & weeks and still not seeing any change. I never heard of this brand but sounds good. Such a nice review, thanks for sharing! I love hearing about other bloggers' skin routines! Thanks for sharing this, lady! Thank u IIija :) Cool name. I love a good skin care routine. Especially when the season changes, it is important to make sure we take care and maintain our beauty routine. I have very sensitive skin and everything I use has such a big effect on my skin... 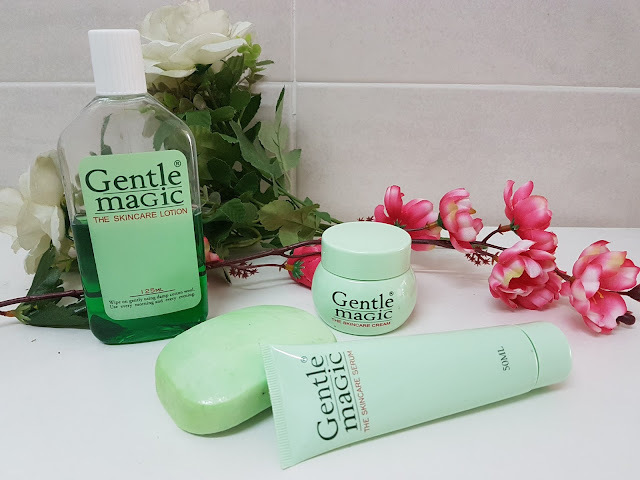 The Gentle Magic Skincare range seems quite interesting and I'd love to try it. I totally agree with you. Sticking to the basics is really the way to go.